Kawasaki has long believed that Supernaked models should be more than supersport machines stripped of their full-fairing bodywork. Designed with sugomi* performance for maximum riding pleasure, the new Z900 mounts a 948 cm3 In-Line Four engine in an all-new ultra-lightweight frame. The choice of a 900cc-class In-Line Four was no accident; every twist of the throttle is rewarded by crisp, smooth response and exhilarating acceleration. But although the engine becomes more exciting the higher the revs climb, its smooth power delivery makes it extremely manageable. 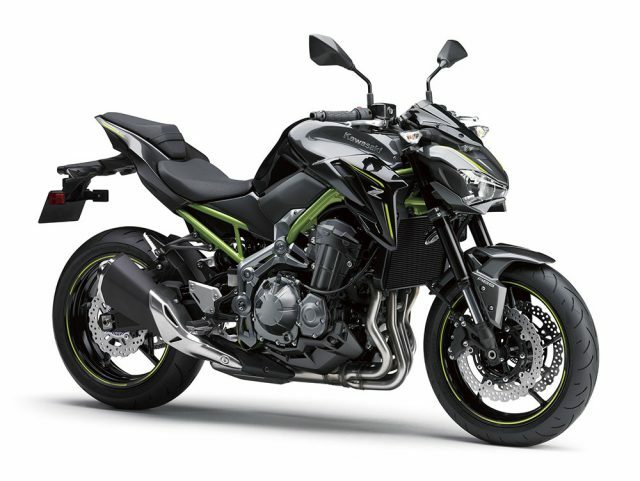 The lightweight chassis offers the same duality; nimble handling lends itself to spirited sports riding, while the Z900’s light weight and low seat height make it easy to control. Like many legendary Kawasaki 900cc-class In-Line Four machines (Z1, Ninja/GPz900R, Ninja ZX-9R), the Z900’s package delivers a sublime balance of power and handling – ideal for a Supernaked model.